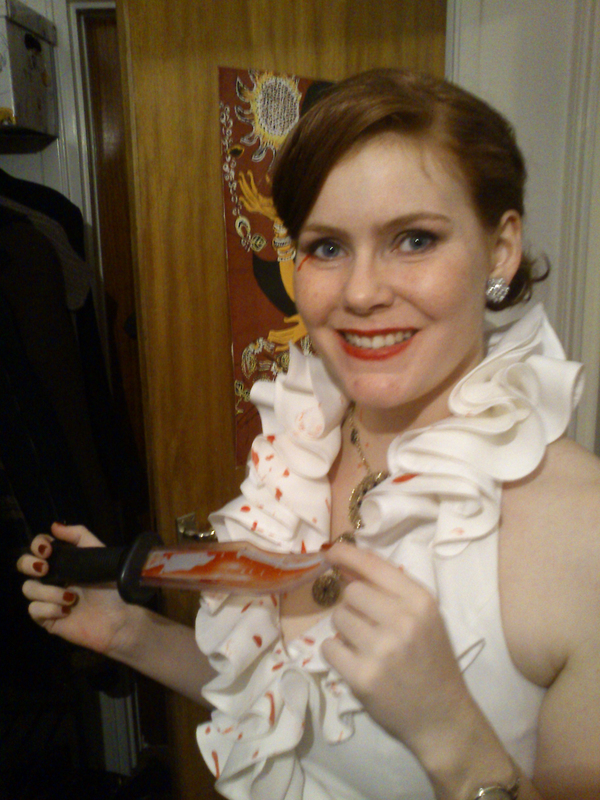 Halloween are without doubt my favourite holiday, unfortunaly we don’t celebrate it here in Sweden. The wounderfuly decorated houses and creative costumes that’s been seen in the US are never seen here. Even though the celebrations have started to grow a bit these past few years, it still have a long way to go in my opinion. 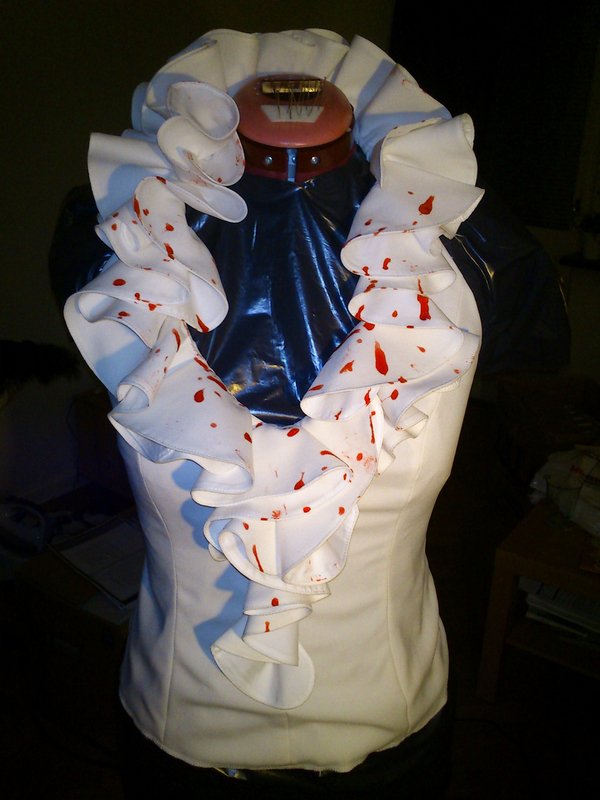 So last year when I got invited to a halloween/birthday party I tought long and hard of what to make. I decided on one of the coolest evil television caracters right now: Lorena from “True Blood”. I always loved her outfits and style, and decided to make the white ruffled blouse and little black skirt she wears when being staked to death in the series. 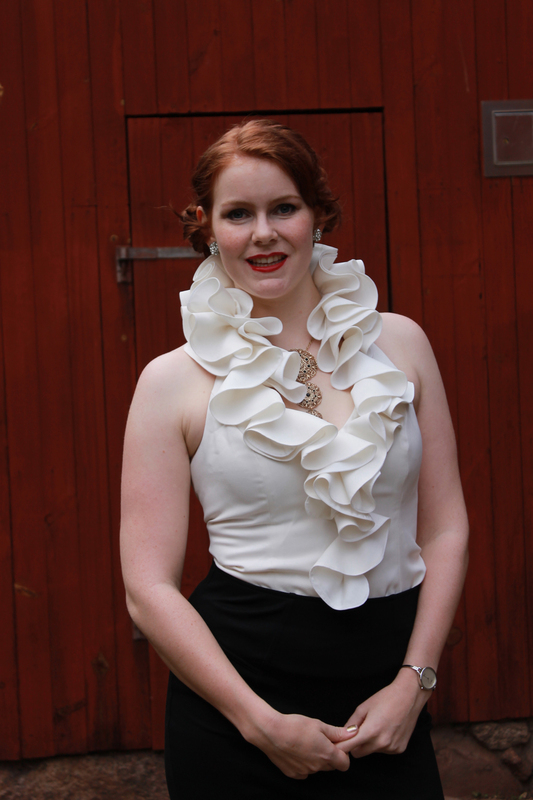 I made a simple halter top and sewed the ruffles on to it. Then I dripped and painted faux blood on it. I bought a slim black skirt and some stockings with a contrasting black seam. I also decided to take the look down a bit and didn’t use either fangs or bloody tears on the face.